Organize your life, record what matters, and get stuff done! What the heck is a dot journal? It’s a planner, to-do list, and diary for every aspect of your life: work, home, relationships, hobbies, everything. 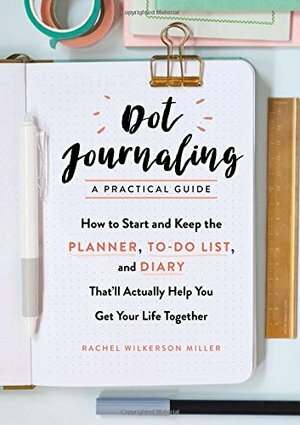 Early adopter Rachel Wilkerson Miller explains how to make a dot journal work for you—whether you find the picture-perfect examples on Pinterest inspiring or, well, intimidating. You decide how simple or elaborate your journal will be, and what goes in there: Lists of your to-dos, to-don’ts, and moreSymbols that will make those lists efficient and effectiveSpreads to plan your day, week, month, or yearTrackers for your habits and goals (think health, money, travel)Accoutrements such as washi tape, book darts, and more!